Sometimes the hustle and bustle of a trade show can make a business feel as though its exhibit is getting lost in the crowd. A combination of creative, engaging use of social media tools along with a top-of-the-line, professionally designed, custom trade show booth can help your business get the recognition it deserves at your next trade show. Getting interactive with your customers at big events like trade shows has the added bonus of creating a social media buzz that keeps on working for your business long after your event has packed up and gone home. Here’s how to make social media work for you at your next event. 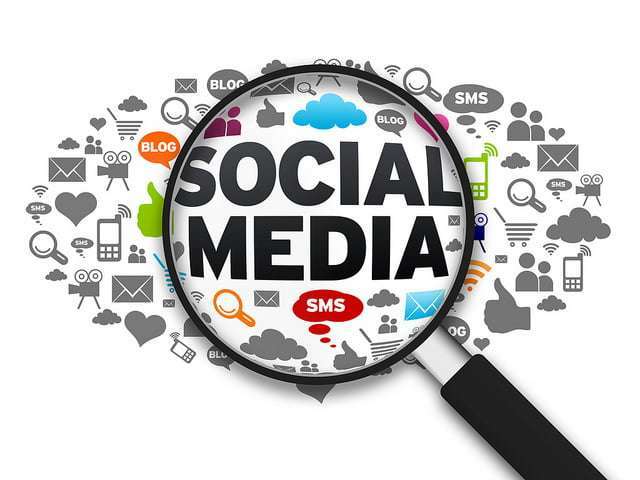 Social media has amazing advertising reach by sheer virtue of its share-ability. As soon as you have your event and trade booth location details finalized, start working on that event invite—and then promote it by sharing, inviting, retweeting, and cross-posting across all the platforms. Get your Facebook followers on board by asking for likes and shares in return for a reward—like free admission and a goodie bag to the event—then hold a contest to determine the winner with the Facebook profiles of those who participated. Cross-post on Twitter using retweets, and tie it all together with the appropriate hashtags for the event, your business tags, and other relevant event tags. Share your event on LinkedIn and get to work leveraging your professional connections and industry-specific networks and groups. Be sure to join and follow LinkedIn groups and discussions that focus on trade show happenings–this type of networking provides a great opportunity to boost your visibility and stay current on event information. Remember to use the event hashtag in your posts across all of your social media channels, and start using it well before the event takes place. This way, you’ll capitalize on the marketing capabilities of social media for those who are following you, looking for information on the event, or sharing it with friends. Be sure to share authentic stories of the chaos, triumphs and tribulations that you and your team experience along the way. Letting your fans in on the part of the process that most customers don’t get to see not only brings them closer to your event, it establishes brand loyalty by humanizing the experience and fostering an emotional connection with your followers. Trade shows make great blog topics and offer yet another resource for keeping your website content current and engaging. Create posts that are informative and generate anticipation leading up to the event, and remember to share them across all your social media channels for extra exposure. After the event, build on the behind-the-scenes theme above and create posts that recap on your overall experience at the show. These days, strategic use of social media can help any event spread like wildfire—using it consistently and creatively will help you get the best return when you will use social media to stand out at a trade show. Carlos A. Espitia is a marketing & business consultant with Infinity Exhibits and the self-proclaimed “Chief Human” at CAE Marketing & Consulting. He is a 15-year marketing expert, high-performance driving instructor, founder of Omega Delta Sigma, former U.S. Marine, and University of Florida alumni.